ADVANCE!, APPLIED PHILOSOPHY, ARC FIL DIRECT, ARC STRAIGHTWIRE, AUDITED NOTS, BOOK 1, BOOK ONE, CAUSE, CELEBRITY CENTRE, CELEBRITY, CENTRO DE CELEBRIDADES, CHAPEAU DE L'ETUDIANT, CIENCIOLOGIA, CIENTOLOGIA, CLEARSOUND, DAJENETIKA, DIANETICA, DIANETICS, DIANETICS (in Cyrillic, Greek, Hindi, Katakana, Urdu, Hebrew, Chinese, Korean and Ukrainian), DIANETIIKKA, DIANETIK, DIANETIKA, DIANETIKA (in Cyrillic) DIANETIQUE DE NOUVEL AGE, DIANETIQUE, DIANETYKA, EL PUENTE, E-METER, E-METER (in Greek and Hebrew), EXPANDED DIANETICS, FALSE PURPOSE RUNDOWN, FALSE PURPOSE RUNDOWN (in Hebrew), FEBC, FLAG OT EXECUTIVE RUNDOWN, FLAG, FLAG (in Katakana), FREEDOM, FREEWINDS, GOLDEN ERA PRODUCTIONS, HAPPINESS RUNDOWN, HAPPINESS RUNDOWN (in Katakana, Hebrew and Greek), HCO, HQS, HRD, HUBBARD LIFE ORIENTATION, HUBBARD, HUBBARD (in Chinese, Greek, Cyrillic, Korean, Hebrew and Katakana) INCOMM, KEY TO LIFE, KEY TO LIFE (in Katakana), L. RON HUBBARD (in Chinese and Katakana), L. RONALD HUBBARD (in Chinese), L. RON HUBBARD SIGNATURE, L10, L11, L12, LA CLE DE LA VIE, LA DIANETIQUE, LA SCIENTOLOGIE, LE PONT, LIFE IMPROVEMENT, LIFE ORIENTATION, LIFE ORIENTATION (in Katakana), LIFE REPAIR, LLAVE DE LA VIDAD, LRH (in Greek), LRH DEVICE, MARK SUPER VII configuration, MARK SUPER VII QUANTUM, MARK SUPER VII, MARK V configuration, MARK V, MARK VI, METHOD ONE, METHOD ONE (in Greek), METHODE UN, METODO UNO, NED, NED (in Hebrew), NEW ERA DIANETICS, NEW ERA DIANETICS (in Katakana), NEW LIFE RUNDOWN, NEW VITALITY RUNDOWN, NOTS, NOTS (in Katakana, Korean and Hebrew), NUEVA ERA DIANETICA, OCA, OEC, OPERATING THETAN (in Hebrew), OT, OT (in Katakana), OXFORD CAPACITY ANALYSIS, OYOTETSUGAKU, PURIFICATION RUNDOWN, PURIFICATION, RECORRIDO DE FLAG DE OT EJECUTIVO, RECORRIDO DE LA FELICIDAD, RECORRIDO DE LA NUEVA VIDA, RECORRIDO DE LA VITALIDAD NUEVA, RECORRIDO DE PURIFICACAO, RECORRIDO DE PURIFICACION, RECORRIDO DEL PROPOSITO FALSO, RECORRIDO DEL RESPLANDOR, RELIGIOUS TECHNOLOGY CENTER, RUNDOWN DE PURIFICATION, RUNDOWN DES FAUX BUTS, RUNDOWN DU BONHEUR, RUNDOWN DU SOLEIL, SAINT HILL, SCIENTOLOGI, SCIENTOLOGIA, SCIENTOLOGIA (in Cyrillic) SCIENTOLOGIE, SCIENTOLOGY, SCIENTOLOGY (in Cyrillic, Greek, Hindi, Katakana, Urdu, Hebrew, Chinese and Korean), SCIENTOMETRIC, SHSBC, SOLO NOTS, SOLO NOTS (in Hebrew), SOURCE, STANDARD ADMIN, STANDARD TECH, STUDENT HAT, STUDENT HAT (in Greek and Hebrew), SUNSHINE RUNDOWN, SUNSHINE RUNDOWN (in Katakana and Hebrew), SUPER POWER, SZCIENTOLOGIA, THE AUDITOR, THE BRIDGE, THE BRIDGE (in Katakana and Hebrew), THE FLAG LAND BASE, TRUTH REVEALED, CELEBRITY CENTRE INTERNATIONAL logo, CLASS IV AUDITOR Logo, CLASS V AUDITOR Badge, CLASS V GRADUATE Badge, CLASS V ORGANIZATION Logo, CLASS VIII AUDITOR Badge, CLASS VIII Symbol, CLEARSOUND logo, CSI symbol, DIANETICS Symbol in a Circle, DIANETICS symbol, DIVISION 6 Symbol, FAST FLOW STUDENT Symbol, FLAG CREW symbol, FLAG SHIP SERVICE ORG Symbol, FREEWINDS Logo, FSO Symbol, GOLDEN AGE OF TECH symbol, HCO Badge, I HELP Logo, KEY TO LIFE Symbol, LIFE ORIENTATION Symbol, LRH signet, MARK SUPER VII QUANTUM symbol, MARK SUPER VII Symbol, MARK V E-METER symbol, New FSO logo, NEW OT VII completion pin, NEW WORLD CORPS Logo, OT AMBASSADOR symbol, OT SYMBOL IN WREATH, OT Symbol, POWER PIN Symbol, PRO TRS Symbol, RELEASE PIN Symbol, RELIGIOUS TECHNOLOGY CENTER Corporate symbol, SCIENTOLOGY cross (rounded), SCIENTOLOGY Cross, SCIENTOLOGY MISSIONS INTERNATIONAL Symbol, SCIENTOLOGY ON LINE logo, SCIENTOLOGY Symbol, SEA ORG Symbol, SHSBC Symbol, SOLO AUDITOR Symbol, STANDARD ADMIN badge, STANDARD ETHICS symbol, STANDARD TECH symbol, SUPER POWER symbol, SUPER POWER symbol and THE LION symbol. Scientologist is a collective membership mark designating members of the affiliated churches and missions of Scientology. APPLIED SCHOLASTICS, NARCONON, ABLE, APPLIED SCHOLASTICS Logo, CRIMINON, NARCONON Logo and ABLE ASSOCIATION Logo. WISE, WISE logo and Lion and Cubs Symbol. CCHR, Citizens Commission on Human Rights and CCHR Logo. 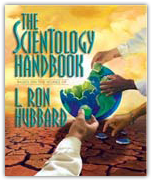 © 2013 Church of Scientology International. All Rights Reserved.